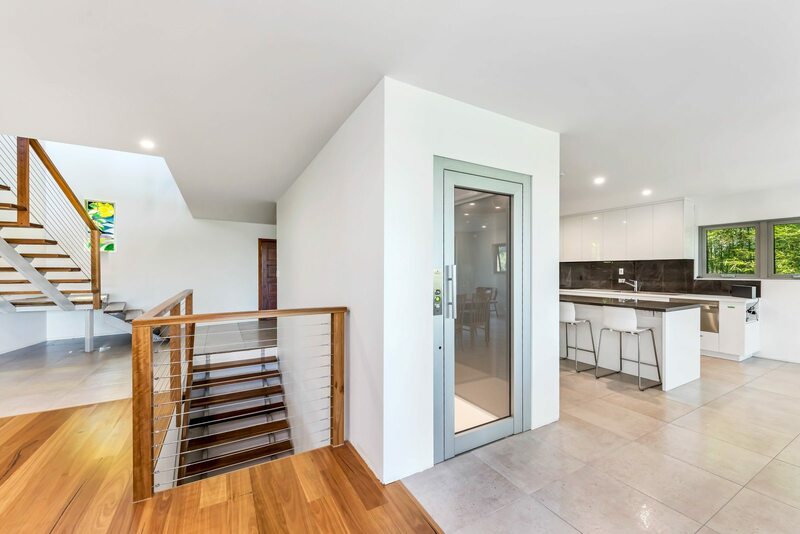 So you’ve decided that you need to add a residential lift to your property, but you don’t have all that much space to put it. No stress! That’s exactly what our new SpaceSaver home elevator will provide. Available in sizes up 1000mm x 1000mm, you’ll not only save crucial space on your property, but you’ll also be able to save both time and money with lower and more efficient building costs. Depending on the size of your property, we’ll be able to customise the build to ensure it fits in the space you’ll need it to. The main aim of the SpaceSaver is that it will cater to difficult sites and existing houses, offering a smaller control cabinet that is compatible with space-poor locations. Another great feature is that the car height can be adjusted. The standard is 2000mm, but it can range from 1900mm if customers don’t have the headroom, right up to 2100mm for that feeling of spaciousness or for tall customers! Keep in mind that if the car height is increased by 100mm, the headroom also increases by 100mm and also the reverse – for example, if the car height is decreased by 50mm, the headroom decreases by 50mm. The SpaceSaver comes with automatic emergency lowering to allow the car to lower to the lowest floor and unlock the door in the event of mains power failure. This provides peace of mind and helps reduce maintenance cost while increasing the longevity of your lift. For code requirements, it has also all the mechanical and electrics contained in a control cabinet measuring 600W x 280D x 1000H mm. An added security feature is the use of the ghost/phantom doors to eliminate the likelihood of someone breaking into your lift. Using the latest technology, you’ll be able to monitor your home elevator from your smartphone device. Known as GeckoOS, you’ll be able to lock your lift off at a designated level, send it up and down as required and monitor its ongoing performance – all in the palm of your hands. Plus, our technical team will have immediate access to any analytic or data on your lift that will allow them to diagnose potential problems remotely, saving you money by not having to do that in person and charging a call-out fee. 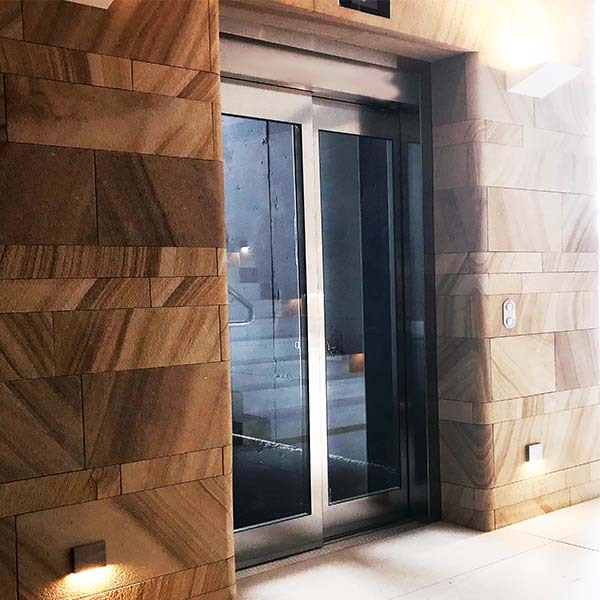 Not only that, but your lift is also NBN-ready so that it’s upgradeable to the latest telephone technology and has the ability to talk to other smart home features. By purchasing the SpaceSaver from Easy Living Home Elevators, you know that you’re dealing with a trusted, reputable and reliable company with over 20 years of experience. With more than 8200 lifts currently in service, we’re all about ensuring stability, credibility and longevity through an extensive warranty period and 10-year parts guarantee. Plus, with 24/7 support on hand through our GeckoOS software, we can provide a response time that is 87% faster than other support methods and can help reduce your overall costs by more than 40%. Finally, as an exclusive supplier of the SpaceSaver, you’re getting access to 100% Italian-quality finishing. 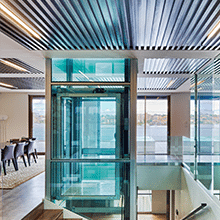 In fact, the manufacturer has sold the most home elevators of any company in the world. 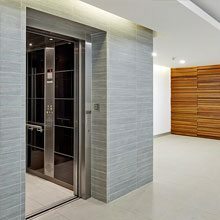 As you can see, we’re extremely excited and proud to offer the new SpaceSaver residential elevator. For more information about this revolutionary product, feel free to get in touch with us anytime or visit your nearest showroom today!